Don’t get stung this summer! Reduce wasp problems by installing pesticide-free wasp traps in your yard. We deliver the traps and set them up in the right places, you enjoy your yard with way less wasp activity! 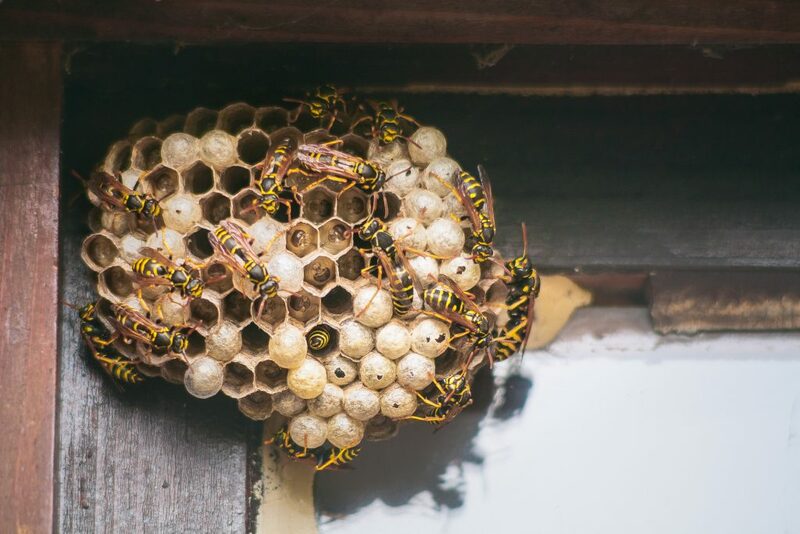 If wasps or hornets are already nesting in your home or yard we can eliminate them quickly and safely. We have the proper safety gear and materials to do this job right! For more information on removing wasp nests and where to place wasp traps, visit our wasp traps page. If you are unsure of what kind of pests you’ve encountered, visit our wasps, hornets and bees page to be able to distinguish the differences. If you cannot find the answer you are looking for, fill in an online form or call us at 604-463-0007.